Had another good day fishing. First one to “the spot” and it was hott!!! Hate to be a cry-baby but I have lost some monster rainbows. 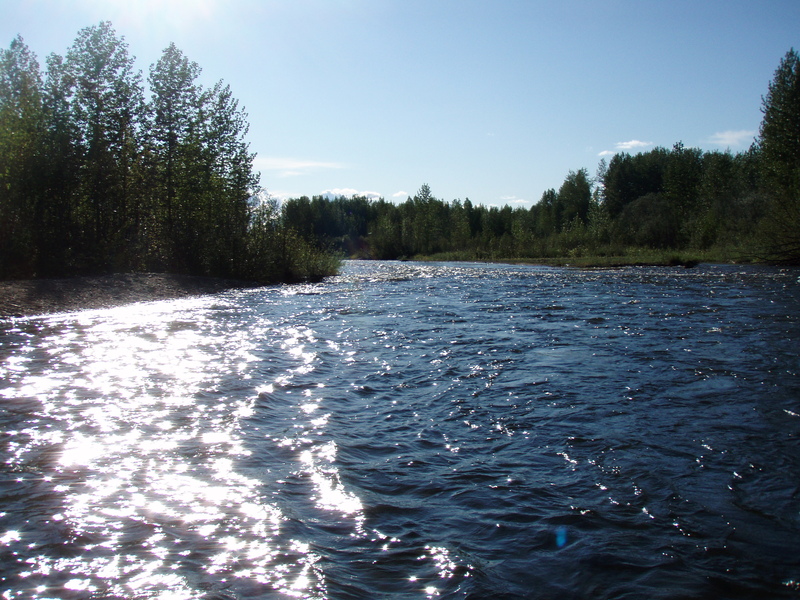 The place i am fishing (see pics below) is just about a very swift and deep run which keeps me from following the fish downstream. I just have to try and horse them which with small nymphs (14 and smaller) just doesn’t add up. 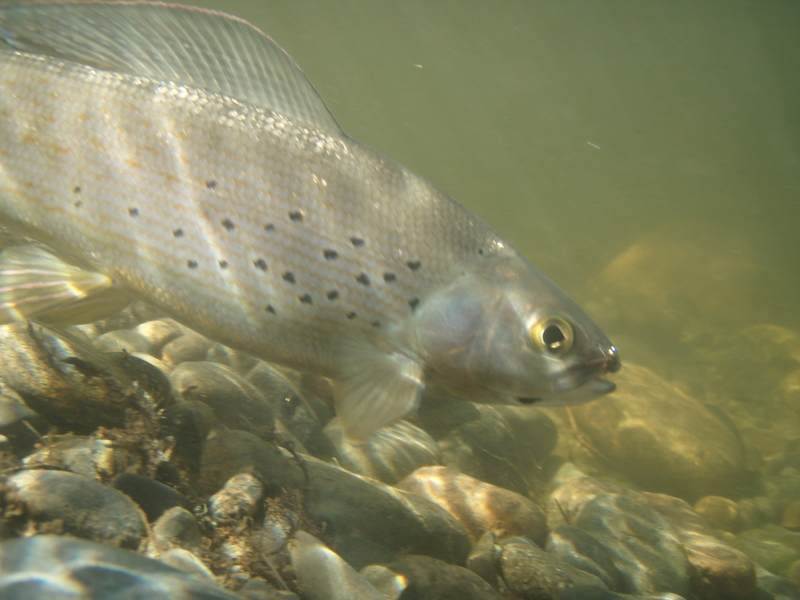 Still got a couple of nice grayling, some small bows and one more dolly. I even got a decent picture of a fish!